I love to switch it up often with my wardrobe but I tend to fall into a comfortable rhythm during hectic schedules. Looking my best is something I do for me. Getting dressed is a part of my me time. Sometimes it's a long and well planned activity. Most days, I need to keep it short. Having a mom 'fit that I fall back on makes things a lot easier. 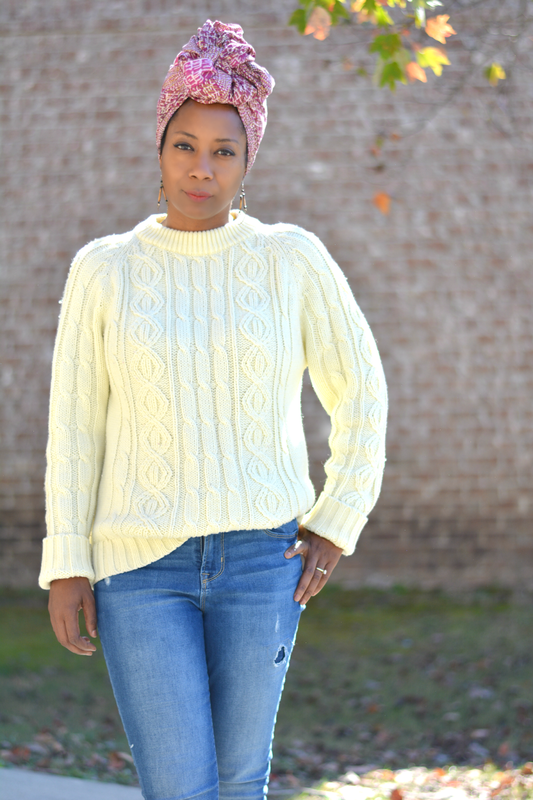 I've been wearing the heck out of chunky sweaters, jeans and block heels. It's simple and comfortable. I feel pulled together without having to put a lot of thought into it. 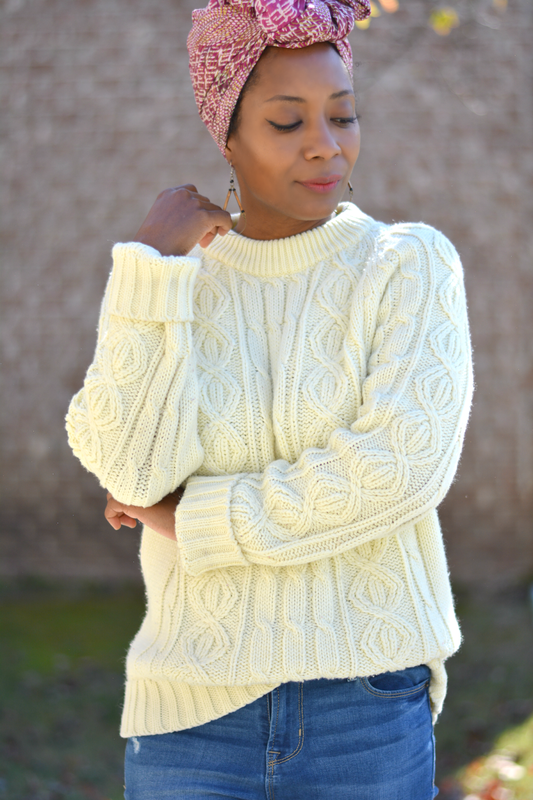 I had one heck of a sweater haul and I'm enjoying having so many options to choose from. I had planned on making a ton of sweater socks but the Thrift Gods blessed. I kept finding ones that were in great condition, that fit me, and weren't itchy. Plus, it was a half off day. My main reason for bulking up my closet with sweaters is because I hate pulling out the big puffy winter coat. I don't like wearing coats in general. I'll try not to whine all over the page again but yeah, summer is my season. If I must wear a coat, I prefer a lighter one with heavier layers underneath. Chunky sweaters help me stay warm. I start shivering when the thermostat dips below 75°. Block heels having been getting a lot of love from me. I usually end up latching on to a pair of shoes and wearing them out. Last summer, it was mules. This fall, I'm into shoes that I can plop into without any effort. I've ignored these vintage Ferragamo shoes for years but this year they're the bees knees. They have an old lady vibe but they are also extremely comfortable and easy. I can slip them on and off without zipping, tying, or adjusting. Less layers to put on and slip on shoes also help out with puppy duty too. Mr. Cuddles hasn't quite mastered holding the bladder until outdoors. I need to be ready to go when he's ready to go or risk the alternative. I do live the glamourous life. Are there any outfits you have in heavy rotation?